For More Details on the Lay Leadership Training fund, ​Download the flyer. 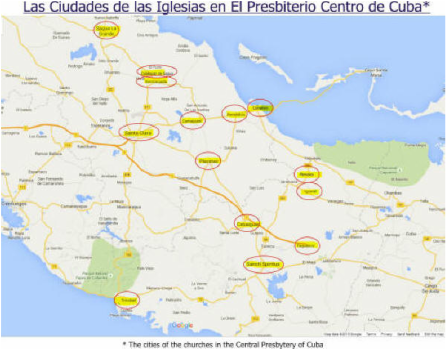 Central Florida Presbytery has committed to help El Centro (The Central Presbytery of Cuba) with their transportation needs. Six pastors serve 13 churches and 10 mission churches. The pastors travel a minimum distance of 40-50 km to attend to their churches or missions. Cars are assigned to 5 pastors; other pastors depend on buses, horse carts, motorcycles, and taxis to travel to their congregations. Our goal is to take $3,000 when we return to Cuba on January 9, 2019. For More Information, please submit this contact form. We have all heard of the hardships being created for Cuban families with the closing of consular (visa) services in the US Embassy in Cuba. U.S. church leaders, including the PC(USA), this week sent a letter to Congress asking them to reopen the services in Cuba, the Embassy and drop the travel advisory. If you would like to download a copy of the letter, please click here.